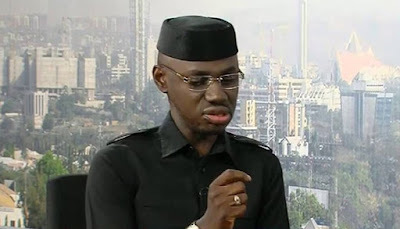 A Chieftain of the ruling All Progressives Congress, APC, Comrade Timi Frank, has alleged that he has been marked for arrest and prosecution by the President Muhammadu Buhari administration. According to Frank, this is because of his voice of opposition to the style of the administration. The politician also lamented the withdrawal of his Police security aides, while alleging that a serving Minister is threatening media houses against publishing his news releases. Minister, Theresa May over what he described as death of democracy in Nigeria. He raised the points in a statement he signed and made available to newsmen on Thursday, urging Nigerians, and especially the National Assembly not to relent in providing leadership to ensure the sustenance of democracy in Nigeria. The statement read, “It has become imperative for me to use this medium to bring to the attention of the general public, as well as members of the international community that on Wednesday 6th June, 2018, the Federal Government ordered the withdrawal of my police security aides. “Even though no reason has been given for this sudden action by the police authorities, I believe that it is connected with my fight to preserve the nation’s democracy by speaking out against anti-democratic tendencies and clamouring for adherence to the rule of law under the present administration. He recalled that he had course to issue four open letters to be published in major national newspapers in one of which he passionately pleaded with Buhari to stop security agencies from harassing and intimidating Nigerians especially those perceived as enemies of the administration. He also called on relevant security and anti-graft agencies, to follow due process in the ongoing fight against corruption in the country. He added, “I had decried a situation where personalities mainly from the opposition, Peoples Democratic Party (PDP) and new Peoples Democratic Party (nPDP) arm of our party, the All Progressives Congress, are being selectively targeted for persecution in the guise of fighting corruption. “I dare say that the withdrawal of my police security aides and from other deserving Nigerians has become the modus operandi of this government in silencing the opposition. He said that the plot against him shows that the Nigeria Police which is supposed to protect all Nigerians has become personalized and is being used to protect only those singing the praises of the present administration. He said that the last administration was more democratic and tolerant than the present one because despite his incessant criticism of the Jonathan’s administration, he never ordered the withdrawal his police aides, as well as those of all opposition members now in government who were opposed to Jonathan and his government as at that time. Frank added, “This unwarranted action by the Government against me, I must say, is meant to expose me to grave danger and personal harm with the aim to permanently shut me up. “Nigerians had expected leaders in this administration to learn to tolerate criticism from the opposition as a common feature in any democratic setting. Take South Africa, for example, where a member of parliament and leader of the opposition Economic Freedom Fighters (EFF) party, Julius Malema, often criticizes the President of South Africa without his security aides being withdrawn or him breing framed-up for arrest and prosecution. “I want to make it categorically clear however, that no amount of intimidation, harassment and arrest will make me to close my eyes and mouth in the face of ongoing human rights violations and actions capable of truncating the nation’s democracy, being perpetrated by the present administration.